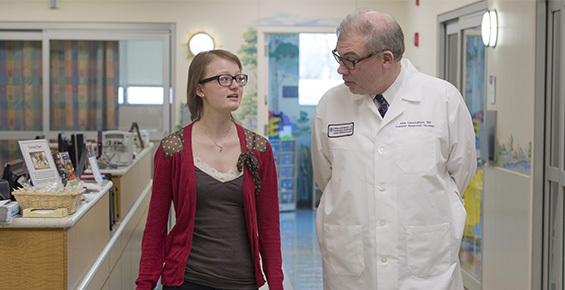 The University of Chicago Medicine Comer Children’s Hospital pediatric stem cell transplant service has extensive experience in stem cell transplants for children of all ages — from infancy through young adulthood. This life-saving treatment is used for some patients with blood diseases, certain types of cancer, immune system disorders or genetic diseases. Stem cell transplantation (also referred to as bone marrow transplantation or hematopoietic stem cell transplantation) treats serious diseases through a process that destroys the patient’s damaged immune system and replaces it with healthy stem cells (blood stem cells — regenerative cells that become red blood cells, white blood cells, platelets or plasma cells — are an integral component of a person’s immune system). The new stem cells restore the blood-forming cells of the bone marrow, thus creating a new immune system in the patient’s body. With a pediatric stem cell transplant team that includes national leaders in transplant for leukemia, lymphoma and non-malignant diseases, we are committed to ensuring that each patients receives excellent care. Comer Children's was the first hospital in the Chicago area to offer a pediatric bone marrow transplant program more than 20 years ago. Experience, scientific study and innovations continue to add to the applications for this treatment and to the steadily increasing survival rates. 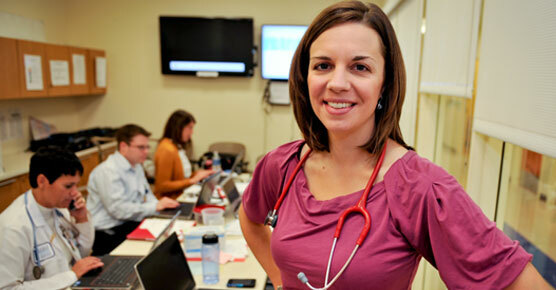 Our experts are nationally recognized leaders in the research and development of this life-saving treatment. We offer a new technique that refines blood stem cell grafts from parents, making them suitable donors for their own children. This unique approach couples state-of-the-art stem cell purification technologies with other treatments to reduce toxicity, while ensuring long-term graft viability and a fewer relapses. In children with leukemia and other malignant diseases, the latter complication is treated by a combination of changes in immune suppression medications and infusion of selected cell populations that target the malignant cells. The pediatric stem cell transplant program is a joint program with the adult stem cell transplant program at UChicago Medicine. With more than 20 transplant physicians and a combined 200 years of expertise, we have the largest, most experienced stem cell transplant program in Chicago. The shared programs perform more than 170 transplants per year. The stem cell transplant physicians and researchers at Comer Children's are always looking for new and better ways to treat our patients while improving their quality of life after treatment. All of our transplant patients are treated with protocols that are part of institutional or national clinical trials — research studies that look at transplant, infection, graft versus host disease and other aspects of this treatment. Our program is an accredited member of the Foundation for Accreditation of Cellular Therapy (FACT) and is a member of the Center for International Blood and Marrow Transplant Research (CIBMTR); the American Society for Blood and Marrow Transplantation (ASBMT); the Children’s Oncology Group (COG) Transplant Center; and the Pediatric Blood and Marrow Transplant Consortium (PBMTC). Participation in these organizations gives our program — and our patients access to the latest findings and treatments in the area of stem cell transplantation. At UChicago Medicine, the brightest minds in medicine are ready to meet the needs of all adult patients considering a stem cell transplant. We offer the latest approaches in blood and bone marrow stem cell transplant.